Tickets from £24.00 Includes service fee and £1.20 facility fee. A £2.55 admin fee applies. JACK WHITEHALL HAS ADDED ANOTHER SHOW HERE AT ARENA BIRMINGHAM! YOU CAN NOW SEE JACK ON FRIDAY 15TH NOVEMBER TOO - TICKETS ON SALE 10AM FRIDAY! Award-winning comedian, actor and writer Jack Whitehall has announced his biggest, brand new show for 2019: JACK WHITEHALL: STOOD UP which starts at Arena Birmingham. 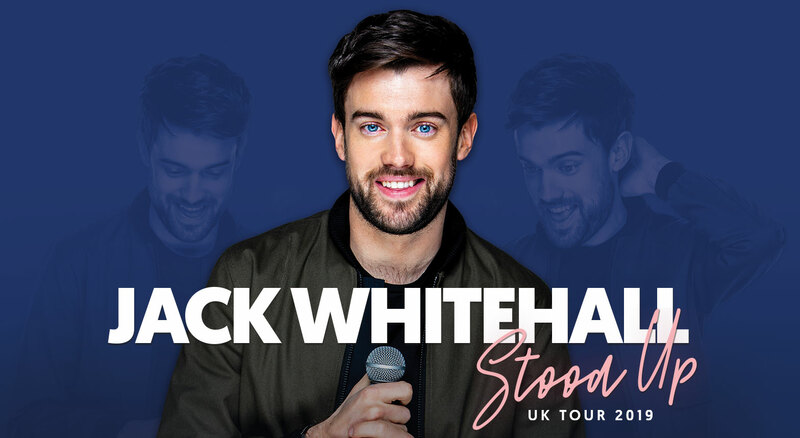 Following two complete sell out arena tours, Jack Whitehall Gets Around in 2014 and Jack Whitehall: At Large in 2017, JACK WHITEHALL: STOOD UP promises to be the most hilarious yet from one of comedy’s most electric talents. A joy to watch on stage and a comedian who is firmly on the road to becoming a global megastar, this show is not to be missed.